A big IHB welcome to guest contributor, Cece. Recently, my BFF moved into a spacious space a few miles away with lots of room to grow her Pinterest green thumb! Separated at Growth I was inspired by this Teenie Cakes pin on growing a small herb garden, since we don’t have a large backyard to grow plants to their full potential. 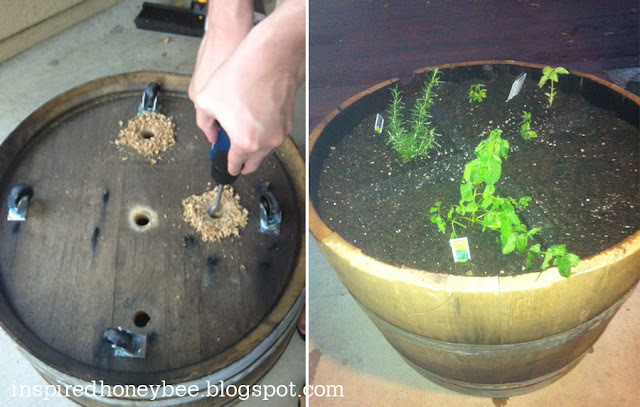 This project was perfect because I was able to get my boyfriend involved and he had an excuse to buy a drill, and I had an excuse to buy a wine barrel. We picked materials from our local Ace Hardware Store (I had a coupon and only paid $20). First, we cleaned the barrel and sprayed it with white vinegar, an important step to kill any fungus that was left in the wood from the wine. The BF drilled holes at the bottom of the barrel to allow for drainage, and lined the bottom with rocks. He even attached wheels on the bottom so that we can move it around. We then filled it with dirt and planted our most used herbs (mint, basil, oregano). We used acrylic sheets from Tap Plastics to divide the herbs. Te de Limon amigo? 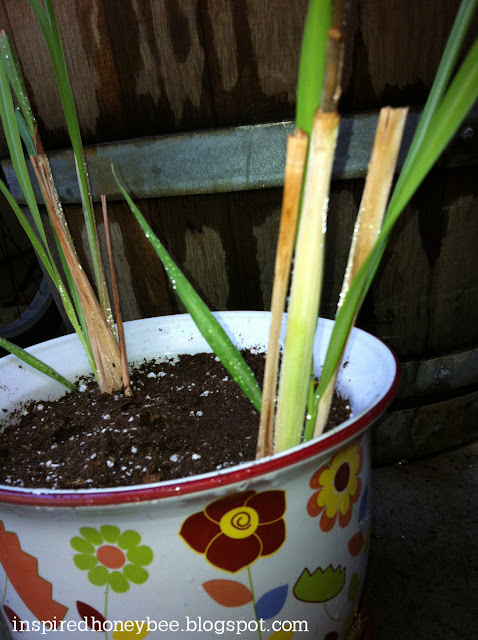 Do you know how difficult it is to find lemongrass plants or the seeds? Answer: pretty difficult. So when I saw this pin from Season with Spice on how to grow and harvest your own lemongrass, I was intrigued. Lemongrass reminds me of my late grandmother and visiting her in Mexico. She always had a cup of lemongrass tea (te de limon) ready for me when I woke up in the morning. I find the aroma healing and nostalgic. I went to Whole Foods Market because that was the only place that I could find lemongrass stock and followed the instructions. My lemongrass is growing and I can’t wait to enjoy it.